Our poles are made from pine or spruce wood. 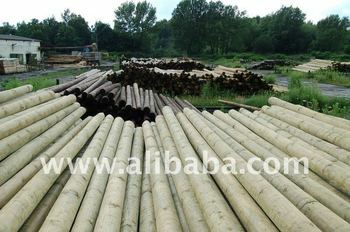 Trees for the poles production are felled in winter season the area of Lower Silesia. Timber is of standard value.